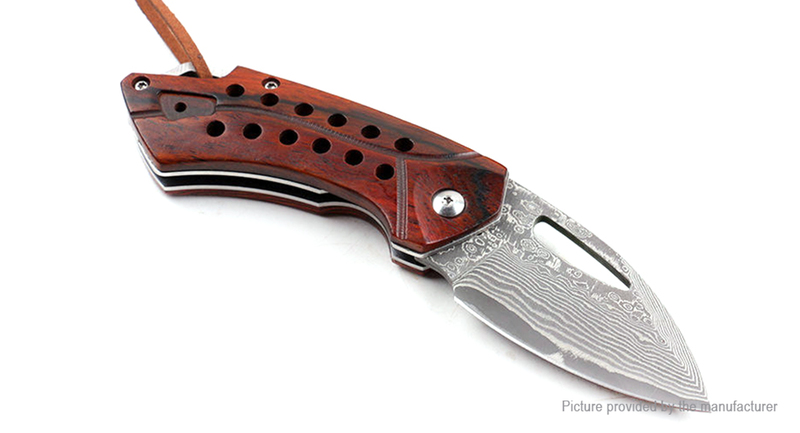 Rosewood material handle. Good slip resistant, durable, anti-corrosion. VG10 Damascus Steel, 56-57HRC thickness. So hard and sharp. Mini size for portable to carry outdoor. So sharp for cutting easily. Suitable for outdoor tactics, survival, army usage, camping, fishing and so on.